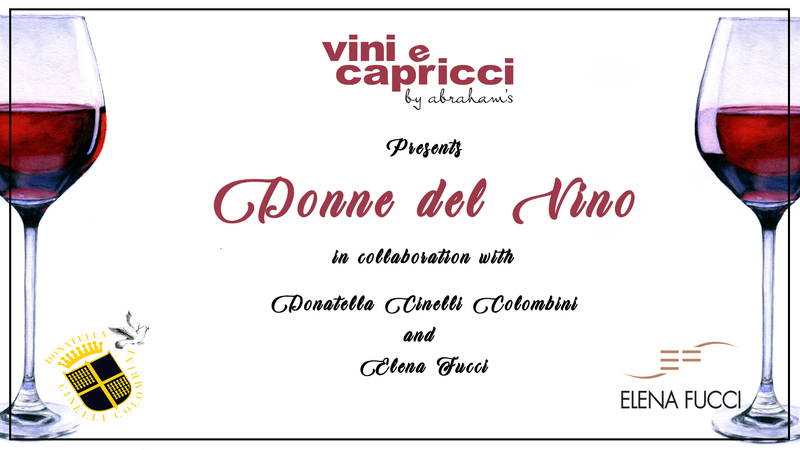 We are proud to announce that this 18th August 2018, Abraham’s in collaboration with Azienda Elena Fucci and Donatella Cinelli Colombini will be organising a unique wine tasting at Vini e Capricci. Elena Fucci, Owner and Enologist at Azienda Elena Fucci and Violante Gardini, Brand Ambassador and daughter of Donatella Cinelli Colombini, will be leading this special event. Elena Fucci will be presenting Titolo 2012, Titolo 2014 and Titolo 2015 whilst Violante Gardini will be presenting Rosso di Montalcino DOC 2016, Il Drago e le Otto Colombe IGT Toscana 2014 and Brunello di Montalcino DOCG 2012. Nibbles will be served, following the Master Class. During this time, you will be able to meet Elena Fucci and Violante Gardini. The admission cost is €30.00 per person and it includes a 10% discount when purchasing any participating wine. Additionally, you can opt to have your purchased wine bottle/s signed after the event. Number is strictly limited to 40 persons; therefore we advise early booking so as to avoid disappointment. Should you wish to join us, kindly visit our website or call us on 21563231 for further details.